Tucked into a cozy cul-de-sac within a quiet Maplewood neighborhood, the Eldridge Twin Home has a huge tree-filled backyard that makes for a private retreat to dine, play and relax. Spanning two floors, the spacious townhomes offer two bedrooms and one bath. Each home has air conditioning as well as its own washer and dryer, deck, and tuck-under double garage. 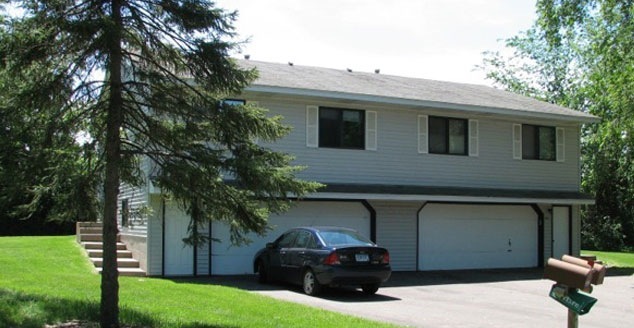 Only 15 minutes from downtown St. Paul, and 20 minutes from downtown Minneapolis, this centrally located home makes it easy to enjoy all that the Twin Cities have to offer.